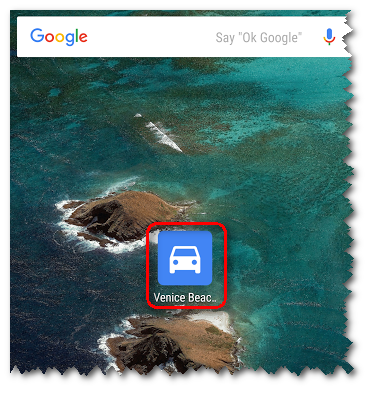 We have reviewed how to add your home and work addresses to Google Maps, as well as how to download an area for offline use. 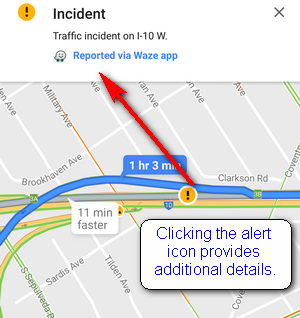 Now let’s see how Google Maps can help our commute by viewing and customizing traffic alerts. 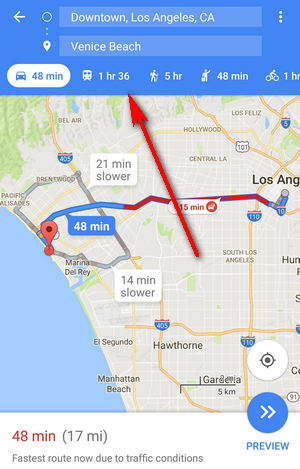 Google Maps has improved dramatically, not only showing estimated time in traffic for drivers, but also for pedestrians, public transit travelers and for bicyclists. Google Maps provides many route options. You can select the shortest route, the fastest route, or a totally different option, depending on what is available and if you need to add intermediary stops along the way. Open Google Maps. See Figure 1. To begin navigation, click on the blue navigation icon. See Figure 2. After you enter your navigation addresses, you can choose which type of guidance to receive. The icons below the address fields provide the travel options as well as estimated travel times. Refer to Figure 3 above. Proceed to enter your route options. Click on the right corner menu to view your options. See Figure 4. 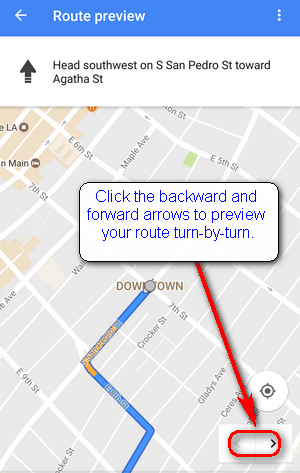 Once you have selected your options, you can preview your route by clicking on the Preview icon on the map. See Figure 5. Lastly, begin your navigation. 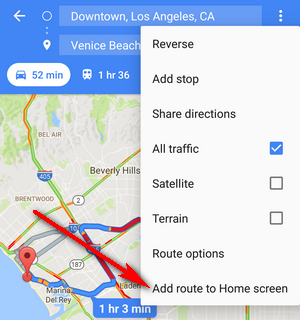 Google Maps provides voice guidance and will update the route options depending on traffic conditions. 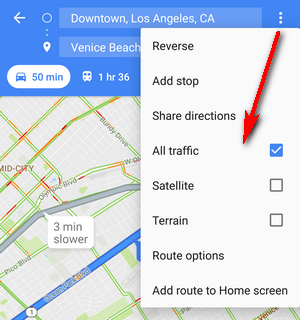 When utilizing navigation, Google Maps provides alerts and route options. To fully understand the map, let’s see the icons employed and their meaning. See Figure 6. Clicking on the icons as they appear on the map will provide you with an update. 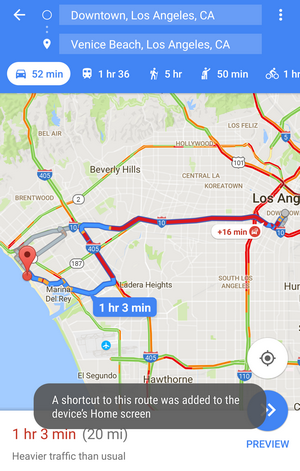 Also, notice that as you navigate the map, you will see green and red lines representing traffic flow. The red lines will also provide the estimated traffic slowdown times and additional navigation options. See Figure 7. The route has now been saved on your home screen. See Figure 9. 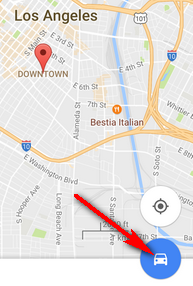 To utilize the navigation with the options chosen, just click on the icon named after the destination address entered. See Figure 9.